Imagine if you didn’t have to sit in traffic on your way home, staring at the exhaust fumes of the car in front of you. Imagine starting and ending your day with a leisurely 20-minute bicycle ride, waving at your neighbors as you pedal past. Imagine coasting right up to the front door of your workplace, instead of circling the lot looking for the best parking spot. Imagine all the money you save on gas and car repairs when you leave the car at home. Imagine the look on your doctor’s face at your low heart rate, blood pressure, and cholesterol. Imagine breathing cleaner air because you and your co-workers, and hundreds of others like you, bicycle to work. Bicycling to work can be good for you, good for your workplace, and good for your community. 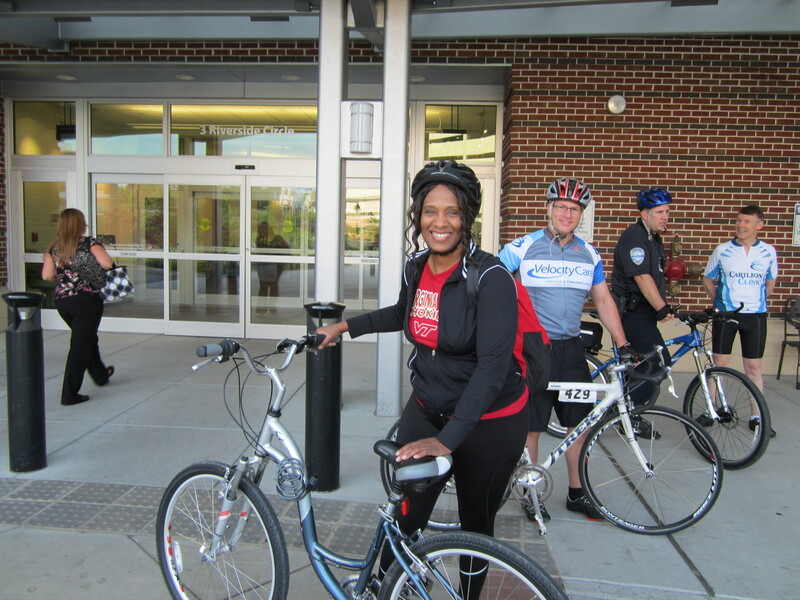 Employees don’t have to bike far, or bike every day, to experience the benefits of bicycling. Whether you want to bike or not, we’d like to know more about how you or your employees get to work. 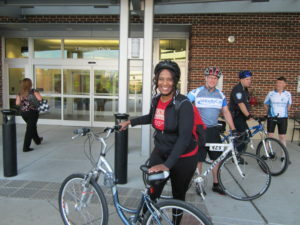 Take the Bicycle to Work Survey and enter to win a Starbucks coffee! We’re studying how employers in our area can facilitate bicycling to work. If you are an employer or an employee in the Roanoke Valley, please complete this survey and enter to win one of ten $5 Starbucks gift cards. Please encourage your employees, co-workers, and employer to complete the survey too! This entry was posted in Blog, Transportation on October 13, 2016 by Rachel Ruhlen.